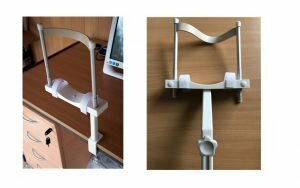 The BV Analyser is a professional and efficient solution for performing accurate Hess Screen and Field of Binocular Single Vision tests. 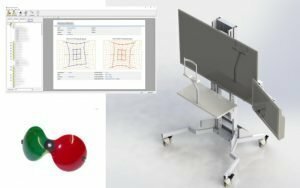 The system was developed in collaboration with orthoptists and is available as software only (Windows 7 or later) or as a complete solution including bespoke instrument table, 48'' monitor and touch screen PC. 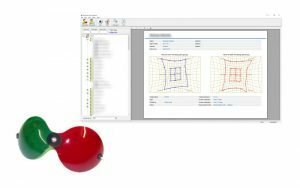 For further information and to arrange a demonstration, please contact Thomson Software Solutions. 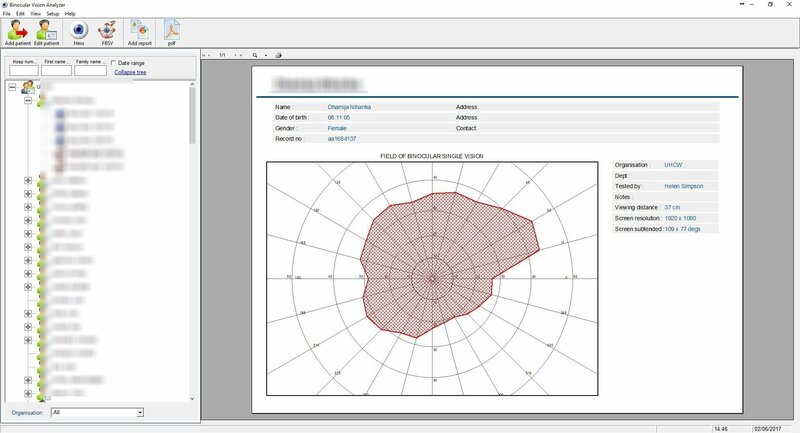 The BV Analyser is based on software originally developed by Prof David Thomson and validated at Moorfields Eye Hospital. 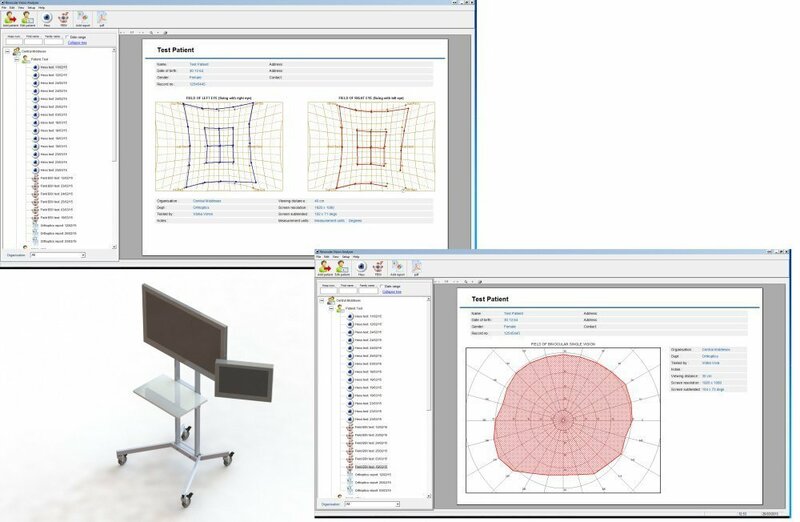 The software includes a Hess Screen test, a Field of Binocular Single Vision test and an Orthoptic Report generator. The system is available as software only or as a complete solution as shown in the image opposite. The patient places their chin and forehead on the rest and views the 48'' monitor from a distance of 40cm. The Orthoptist controls and monitors the test using the all-in-one computer mounted on a swinging arm next to the test screen. With their head on the chin/forehead rest and wearing red/green goggles, the patient is instructed to view the 48'' monitor in front of them. The room lights are extinguished and a red and a blue circle are displayed on the screen (the right eye sees the red circle and the left the blue). Initially the red circle is placed in the top left of the screen and the patient is instructed to move the blue circle using the mouse until it appears to be centred on the red circle. As the eyes are dissociated, any deviation in this direction of gaze will result in a misalignment of the circles. This is repeated for either 9 or 25 directions of gaze (depending on the option selected). The colour of the circles is then reversed and measurements repeated with the left eye fixating. Results are then displayed in the conventional format on the screen. A number of analytical tools can then be applied to the data to help the clinician establish a diagnosis. 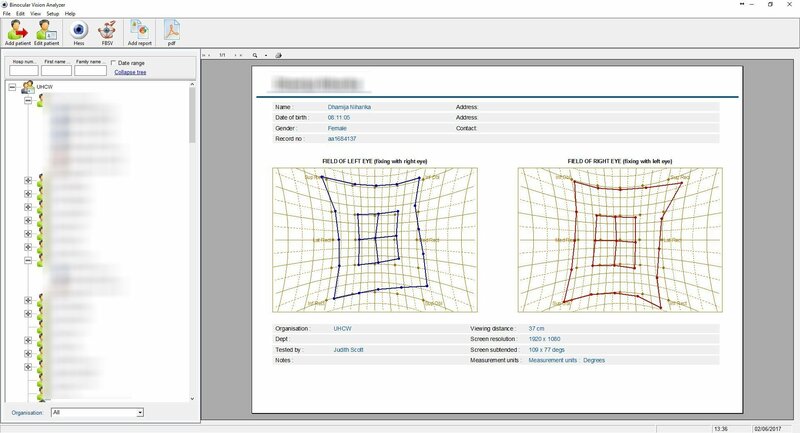 For example, the program will automatically calculate the relative areas of the plots for the left and right eyes, helping the clinician to determine which eye has a palsied muscle and providing an index for monitoring the progression of an incomitant deviation. With their head on the chin/forehead rest the patient views a stimulus which is slowly scrolled from the centre of the field to the periphery along a series of radial lines at 15 degree intervals. The patient simply reports if/when the stimulus goes doubled.  This point is then automatically recorded and the next radial is explored. 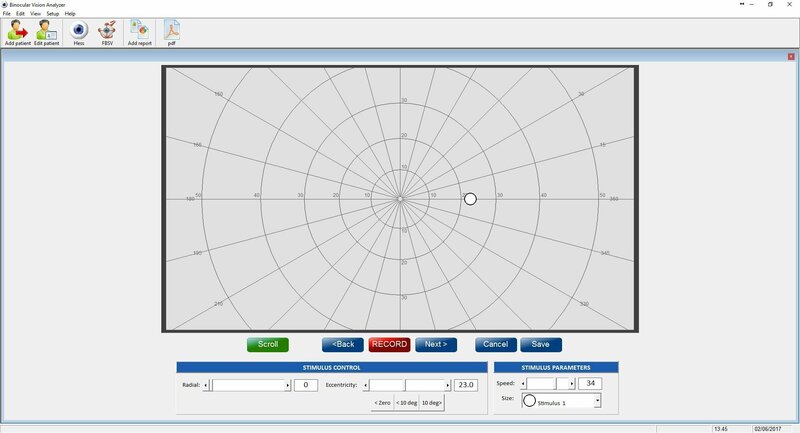 The Orthoptist views a test control screen as shown opposite. The size and colour of the stimulus may be changed as can the scrolling speed. A manual override allows the Orthoptist complete control of the test allowing specific areas of the field to be explored and retested. 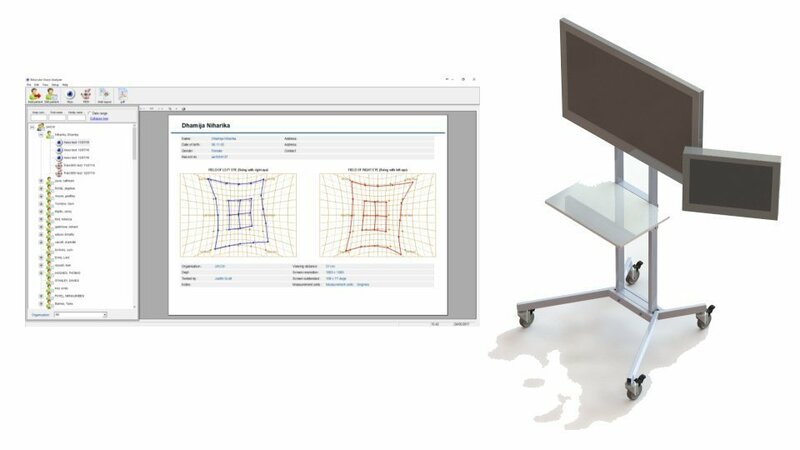 The results are automatically added to the database and plotted on the screen or printed. A pdf of the chart can be created and attached to the patient's electronic medical record. 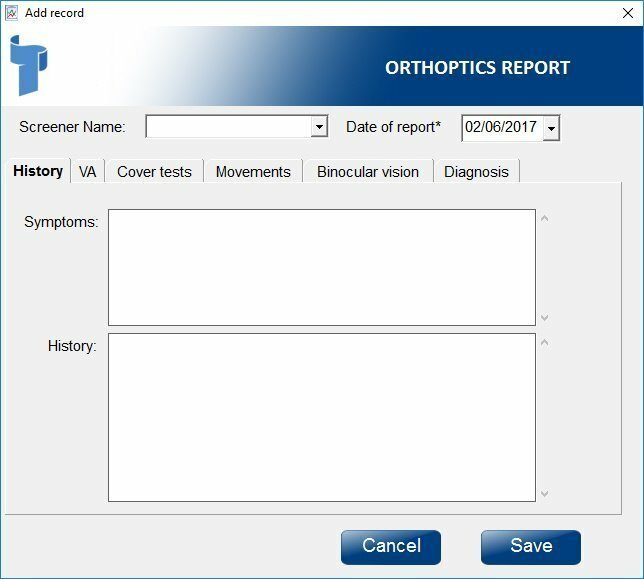 The orthoptic report provides a quick and efficient way for othoptists to enter the outcome of their examination and create a standard report. 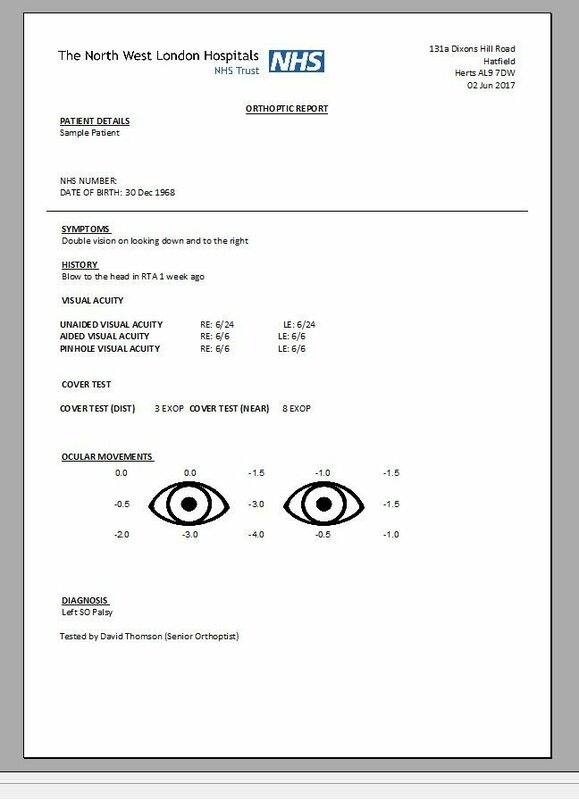 Symptoms, History, Visual acuity, results of the cover test and motility are added along with the outcome of other binocular vision tests and the diagnosis. A standard report is then created automatically and can be printed or attached to the patients electronic medical record.